Daimler needs cost cuts to help catch BMW and Audi. FRANKFURT (Reuters) -- The retirement from Daimler's supervisory board of combative trade union veteran Erich Klemm may smooth management-labor relations as the German carmaker tries to cut costs and close a wide profitability gap with its rivals. Klemm steps down as deputy chairman when he turns 60 next month after 16 years on the board. He has long resisted cutbacks and last year forced managers to reassign cost-cutting specialist Wolfgang Bernhard as a condition for extending the contract of Daimler CEO Dieter Zetsche. Klemm's replacement on the 20-member supervisory board, whose 10 worker representatives can block appointments and other management decisions, is Michael Brecht, 48. He has already forged a productive relationship in the trucks division with Bernhard, who is seen as a possible future Daimler CEO. Zetsche has spent much of a decade slimming Daimler down after a period of global expansion, frequently clashing with Klemm and the unions in the process. But analysts say more cuts are needed if its Mercedes-Benz car division is to improve on a return on sales that is only two thirds of rivals Audi and BMW. "Leadership may become a bit smoother with the retirement of that union guy," said David Herro at Harris Associates, Daimler's fourth largest shareholder with a 1.36-percent stake. Among three other appointments to the supervisory board is the arrival of former Volkswagen CEO Bernd Pischetsrieder, which may boost Bernhard's influence and promotion prospects. Pischetsrieder was his mentor at VW, making him head of the Volkswagen brand. Klemm (pictured) clashed with Bernhard. Bernhard, who was chief operating officer of Chrysler from 2000 to 2004, has run Daimler's trucks unit since his removal a year ago as head of production at Mercedes. He has spoken this year of the need to cooperate with labor. A source close to the works council said Bernhard was working well with Brecht, who is the workers' representative at the Gaggenau plant that makes powertrains for trucks. Daimler has not announced any new cost cutting initiatives, so the relationship remains largely untested. But worker representatives say they have noticed a change in tone. "It's less jarring," the source said of Bernhard's current conduct and effort to put behind him a reputation for aggressive cost-saving. "He is making an effort." Bernhard clashed with Klemm over how to overhaul production at the Sindelfingen plant to cut manufacturing time per vehicle to 30 hours from an average of 60. Aides to the IG Metall union official said a supervisory board decision to move Bernhard from Mercedes last year was taken unanimously. But sources familiar with the negotiations in February 2013 said Klemm insisted Bernhard be transferred before union officials would agree to extend Zetsche's contract to 2016. Bernhard, a 53-year-old former McKinsey management consultant, has since taken the opportunity to show his engagement with products. He is currently developing a new range of trucks aimed at Africa and similar markets. In seeking to establish better relations with labor leaders, he has taken pains to emphasize how he halted Daimler's plans to expand a factory in Brazil because local management had failed to agree first on certain key conditions with the unions. "You have to get unions on board," he told a recent industry conference. "Otherwise you can't go ahead." The Stuttgart company is still playing catch-up with rivals, making further cost cuts likely. Mercedes-Benz Cars had a return on sales of 6.5 percent in 2013, lagging Audi's 10.1 percent and BMW's automotive EBIT margin of 9.4 percent. "What is important now for Daimler is to cultivate a culture of excellence," Herro said. Shareholders are cautiously optimistic but remain skeptical about the sustainability of the company's recent rebound, given a legacy of false dawns. 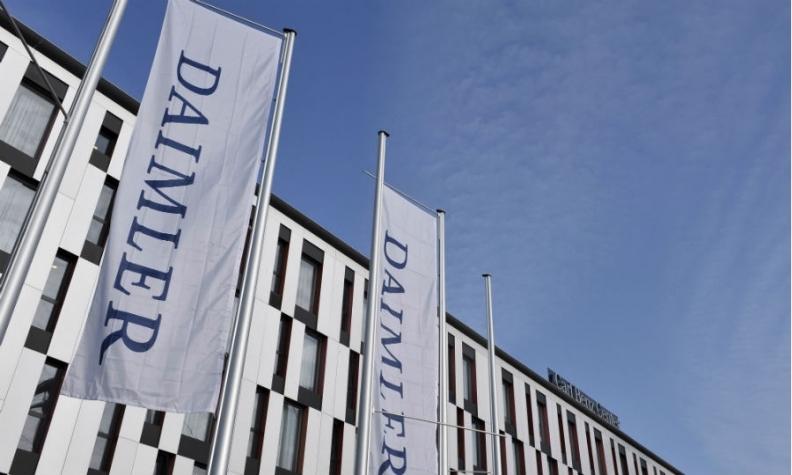 "We have seen in the past that Daimler suddenly fails to meet its targets. This trend has been ongoing for about a decade," said Henning Gebhardt, Head of EMEA Equities at Deutsche Asset & Wealth Management. Zetsche has taken a leaf from Bernhard's playbook, burnishing his image as a cost-cutter, repeatedly telling reporters that a cost savings target of 2 billion euros by 2014 will probably be exceeded. At the same time, Daimler's labor representatives have noticed Zetsche has been trying hard to keep them on his side. "He has made spontaneous visits to the factory floor and he wants to improve the dialogue with the work force with things like Q&A sessions on the company's intranet," said one. The issue of succession will not formally be discussed until the year before his contract expires in early 2016. He may yet get a further extension, given surging profits and a number of new vehicle releases which have been well received by customers. Aside from Bernhard, analysts see Chief Financial Officer Bodo Uebber, 54, and 53-year-old Hubertus Troska, the head of China operations, as potential candidates. Zetsche, 60, has given head of sales Ola Kaellenius some high-profile exposure, prompting speculation the Swede could be an outside contender.